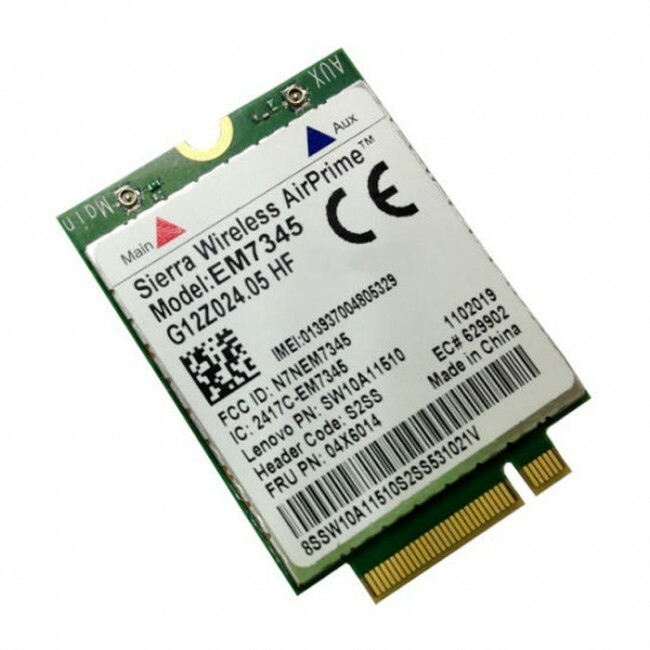 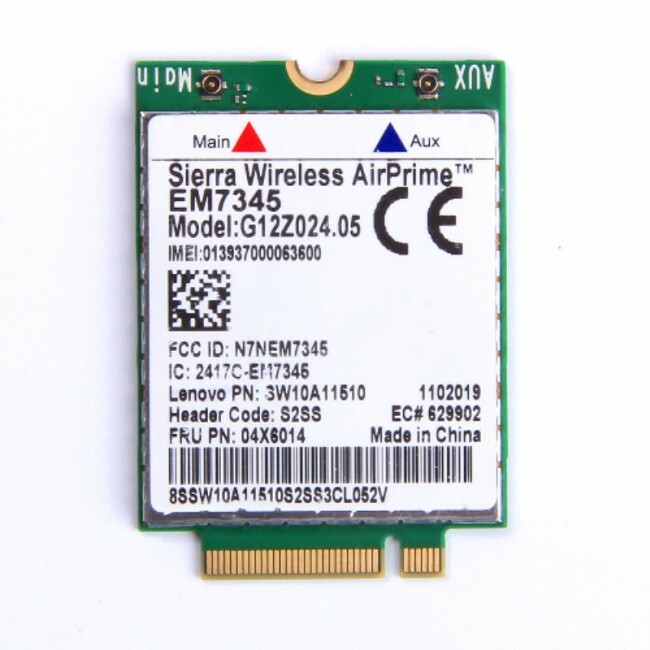 Sierra Wireless AirPrime EM7345 is a new 4G LTE Module on PCIe M.2 form factor, which supports LTE data speeds up to 100 Mbps downlink and 50 Mbps uplink and is compatible with HSPA+ and quad-band GSM/GPRS/EDGE frequencies. 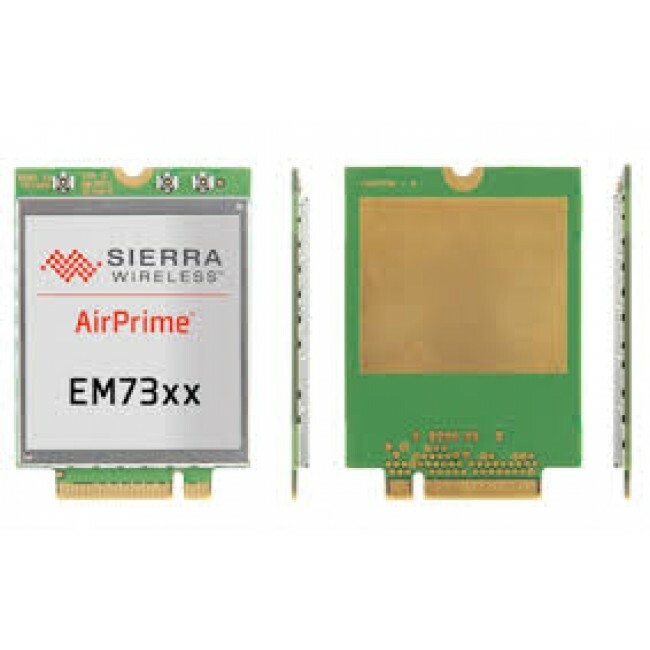 AirPrime EM7345 could support more LTE frequecy bands and use worldwide,it's the same model as Intel XMM 7160 and is more powerful than brother model AirPrime EM7355. Works for X1 3rd Gen.